For a second there, I thought BP was serving up bacon wrapped turtles. That is the most awesome thing I have seen today! Oh, so it’s only sausage? 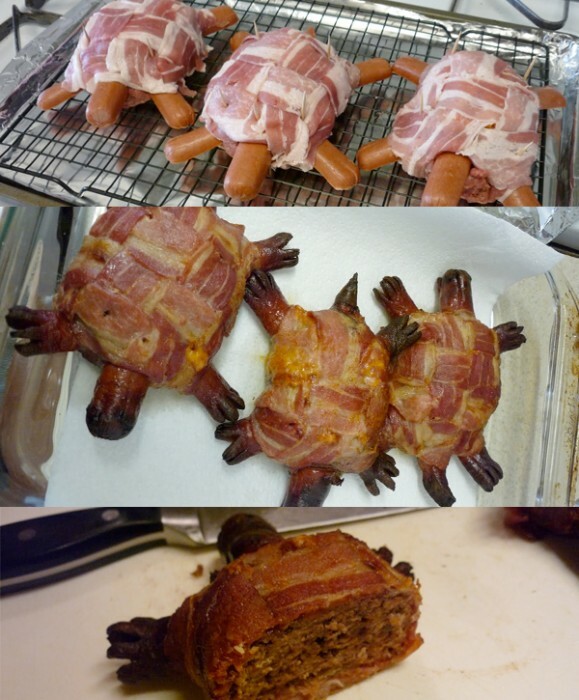 that post from a while back had me scared that somebody was cooking up turtles.